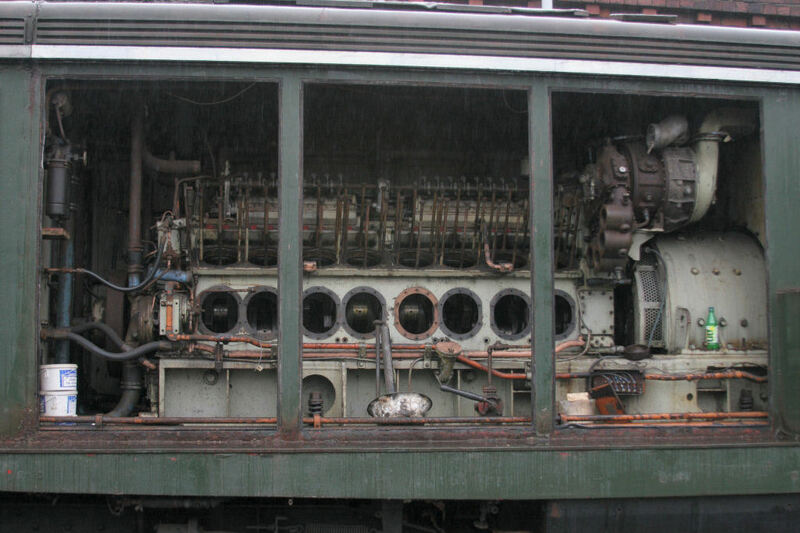 Maximum Speed: 60 MPH Length: 42' 0"
Train Brakes: Vacuum Only Height: 12' 6"
Train Heating: None Width: 9' 2"
D8233 is the sole survivor of the Class 15 locomotives, of which there were originally 44. Despite being a product of British Thomson-Houston at Rugby according to the Builders plates, the locos were a collaboration between BTH and Clayton, with Paxman power units. The majority of the class, including D8233, were actually constructed at Clayton's works in Hatton, Derbyshire. By 1971 the whole class of 44 had been withdrawn with just four surviving in departmental useage. Initially withdrawn in February 1969, D8233 saw use as a carriage heating unit, numbered ADB968001 and was completely withdrawn in 1982. The loco was saved for preservation in 1984 and has had a number of homes including the ELR once before in the late 1980s. More recently, D8233 was based at the Crewe Railway Heritage Centre, eventually returning to Bury in 2006 where a dedicated volunteer workforce are restoring the loco to operational condition. 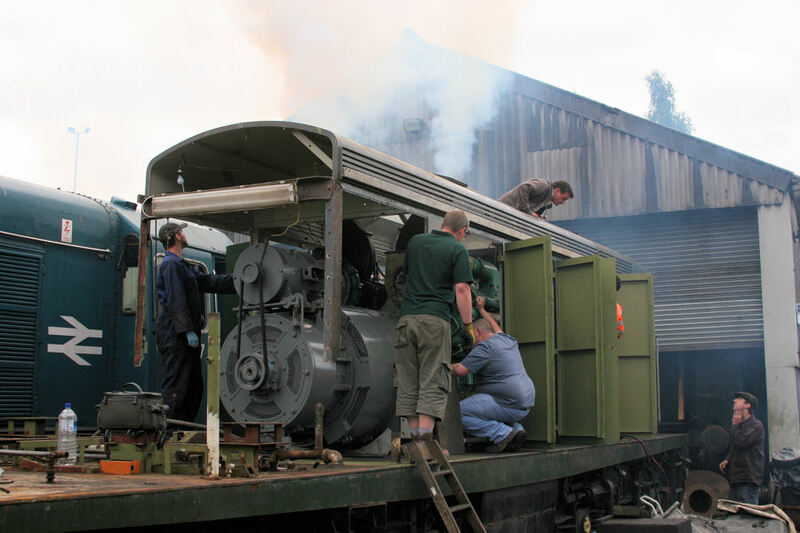 The power unit was successfully started on the 19th of June 2010 and regular workgroups are progressing with the restoration. 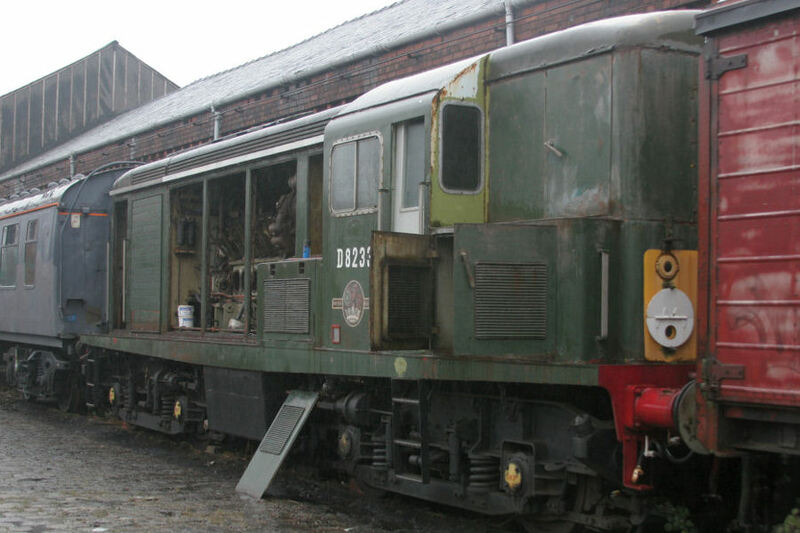 D8233 is one of two unique survivor projects based at Bury (the other being Class 28, D5705).